Yes…!!! 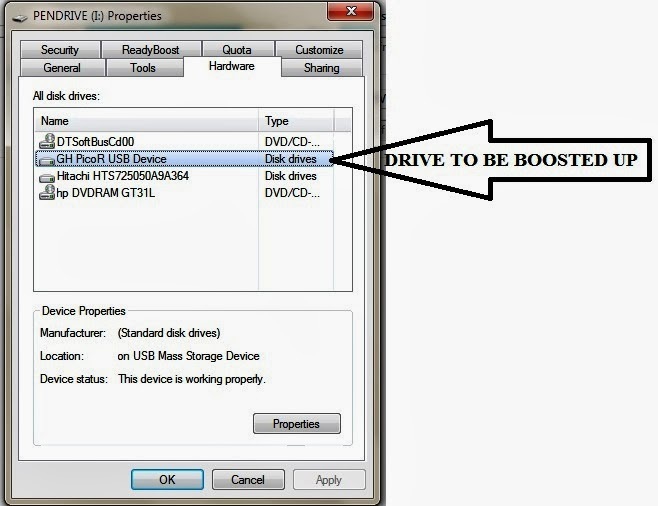 Its Possible that your own pen drive can be faster, but how? I have been searching for the facts that how pen drives which often people complains that is slow or the speed is not up to the mark. 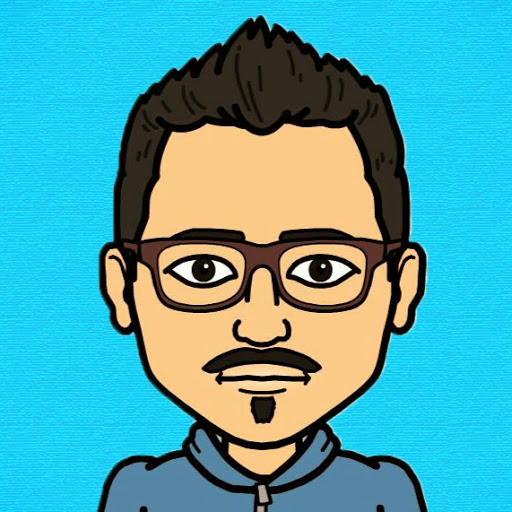 So I have compiled a step by step procedure which will make your pen drive’s transfer rate faster. Making the Pen drive Faster: Speed up of it’s Transfer rate. (N.B. it is preferred to perform the task after formatting the drive using “NTFS” Rather using “FAT32” which is not capable of handling large amount of data. Now select the properties tab then Go to hardware tab then list of All disk drive will appear then select the usb which you want to boost up. 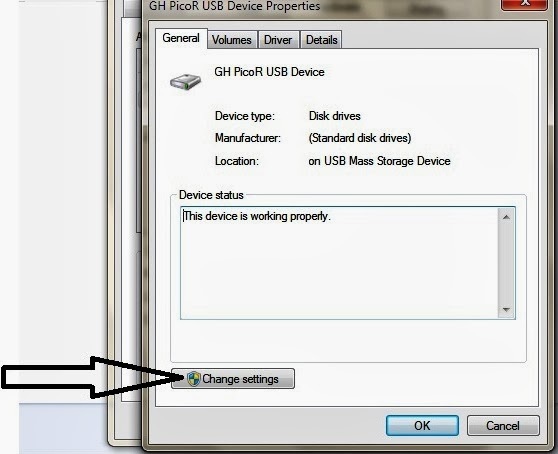 Now there will pop up a new window with the USB Device Properties then Select the General tab in that menu. Then select Change Settings which is under General Tab as shown below and a new window will again pop up. Select Better Performance to and hence the results the pen drive will become faster. Note - back up all your data From your Pen drive to a safe Place before Converting it to Better Performance it may cause loss of data. 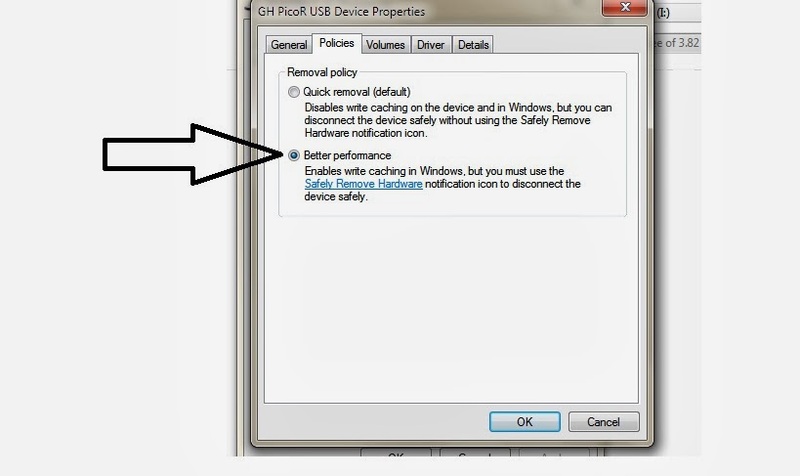 Note – After Selecting Better Performance just Disconnect the Pen drive from the Computer by choosing the Safely Remove Hardware option . Disclaimer – We are not Responsible for any harm that comes to your device after you do the above steps. Therefore Use at Your Own Risk . It is just For Information Purpose Only.